Miami, Florida, April 15, 2015 – Florida International University’s Center for Internet Augmented Research and Assessment (CIARA) is pleased to announce AtlanticWave-Software Defined Exchange: A Distributed Intercontinental Experimental Software Defined Exchange (SDX) NSF Award ACI#1451024. Software Defined Networking (SDN) deployments that cross multiple domains are constructed manually, involving significant coordination and effort by network operators. Americas Lightpaths (AmLight) is a production infrastructure for communication and collaboration between the U.S. and Western Hemisphere science and engineering research and education communities. In August 2014, AmLight evolved to become a full SDN. Demand is growing to develop the capability to support end-to-end network services, capable of spanning multiple SDN domains. Capabilities and resources to operate multi-domain/multi-layer SDN networks must evolve in order for the delivery of end-to-end services to scale. In response Florida International University (FIU) and Georgia Institute of Technology (GT) are collaborating on the AtlanticWave-SDX: a distributed experimental SDX, supporting research, experimental deployments, prototyping and interoperability testing, on national and international scales. In addition, AtlanticWave-SDX aims to take on a leadership role in the planning, coordination and prototyping of experimental SDX by creating an environment in which researchers and practitioners can collaborate on at-scale experimentation and prototyping of SDN applications and services, enabling domain scientists to instantiate instruments on demand, or application-specific infrastructure on demand, across multi-domain networks, on a global scale. AMPATH, led by FIU and SoX, led by GT, are Open R&E Exchange Points (RXP), operating as Platforms of Network Innovation. Both serve U.S. science research and education communities by managing production-level operational open exchange points, connecting a diverse community of national and international R&E networks. Both also support and participate in experimental Openflow/SDN deployments. AtlanticWave-SDX is comprised of two components: (1) a network infrastructure development component to bridge 100G of network capacity between R&E backbone networks in the U.S. and South America; and (2) an innovation component to build a distributed intercontinental experimental SDX between the U.S. and South America, by leveraging open exchange point resources at SoX (Atlanta), AMPATH (Miami), and Southern Light (São Paulo, Brazil). The absence of operational multi-domain SDN networks limits the usability of SDN to motivate the development of novel services and applications. A distributed experimental SDX will provide an environment for development and prototyping of functions and services essential towards advancing knowledge to support end-to-end services, capable of spanning multiple SDN domains. AtlanticWave-SDX will enhance global e-Science collaborations by providing science applications with novel functions and services based on SDN technologies. SDN application development will be able to be prototyped across multi-domain/multi-layer SDN networks connected through a distributed experimental SDX fabric connected to AMPATH, SoX and Southern Light. AtlanticWave-SDX will contribute to a network architecture designed to support the needs of U.S.-Western Hemisphere research and education communities in a manner that supports the evolving nature of discovery and scholarship. 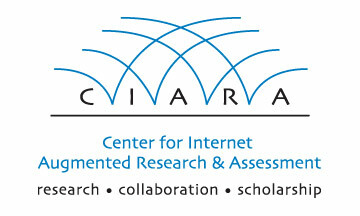 About CIARA: Florida International University’s Center for Internet Augmented Research and Assessment (CIARA), in the Division of IT, has developed an international, high-performance research connection point in Miami, Florida, called AMPATH (AMericasPATH; www.ampath.net). AMPATH extends participation to underrepresented groups in Latin America and the Caribbean, in science and engineering research and education through the use of high-performance network connections. AMPATH is home to the Americas Lightpaths (AmLight) high-performance network links connecting Latin America to the U.S., funded by the National Science Foundation (NSF), award #ACI-0963053 and the Academic Network of São Paulo (award #2003/13708-0) (http://ciara.fiu.edu/). About Georgia Institute of Technology: Georgia Institute of Technology, also known as Georgia Tech, is one of the nation’s leading research universities, providing a focused, technologically based education to more than 21,500 undergraduate and graduate students. Georgia Tech has many nationally recognized programs, all top-ranked by peers and publications alike, and is ranked in the nation’s top 10 public universities by U.S. News and World Report. It offers degrees through the Colleges of Architecture, Computing, Engineering, Sciences, the Scheller College of Business, and the Ivan Allen College of Liberal Arts. As a leading technological university, Georgia Tech has more than 100 centers focused on interdisciplinary research that consistently contribute vital research and innovation to American government, industry, and business. (www.gatech.edu). About California Institute of Technology: The California Institute of Technology (Caltech) is a world-renowned science and engineering research and education institution, where extraordinary faculty and students seek answers to complex questions, discover new knowledge, lead innovation, and transform our future. Global Caltech’s facilities are Jet Propulsion Laboratory, Caltech Seismological Laboratory, and International Observatory Network (www.caltech.edu). About Princeton University: Princeton is an independent, coeducational, nondenominational institution that provides undergraduate and graduate instruction in the humanities, social sciences, natural sciences and engineering. As a world-renowned research university, Princeton seeks to achieve the highest levels of distinction in the discovery and transmission of knowledge and understanding. At the same time, Princeton is distinctive among research universities in its commitment to undergraduate teaching (www.princeton.edu). About Internet2: Internet2, U.S. national backbone network, peers with Latin American R&E networks over AtlanticWave and PacificWave, from multiple peering points. 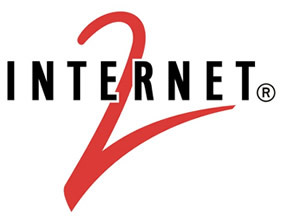 Internet2 comprises 252 U.S. universities, 82 leading corporations, 68 affiliate members, including government agencies, 41 regional and state education networks, and more than 65 national research and education networking partners representing over 100 countries (www.internet2.edu). 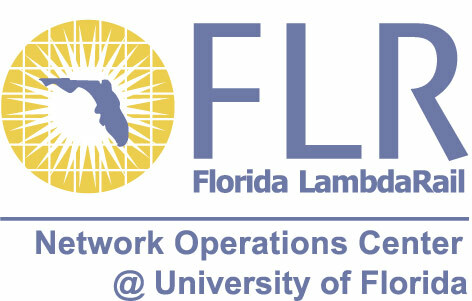 About Florida LambdaRail: FLR is the regional optical network of Florida, formed as a consortium of the Florida’s research universities, to support their research and education mission (www.flrnet.org). Download CIARA FIU press release pdf version here. For Georgia Tech press release click here.